-- Моля изберете --Без MINIX NEO V1 HDMI - VGA Adapter Със MINIX NEO V1 HDMI - VGA Adapter + 35,00 лв. Get ready for truly immersive entertainment. 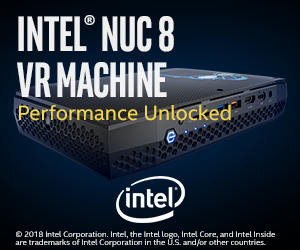 The Intel® NUC Kit NUC7i3BNK is built with a dual-core 7th Generation Intel® Core™ i3 processor. So whether you’re streaming the latest movie or need to finish that last minute presentation, you’ve got the performance to handle it with ease. With dual-array front microphones you can take full advantage of Windows® 10 and Cortana. Now you’ve got your own digital personal assistant to keep you on time to appointments, help you send email, or find that new recipe. Intel® NUC Kit NUC7i3BNK also supports 4K at 60 Hz via an HDMI* 2.0 port. A multi-color LED ring lets you personalize your NUC with the look you want.